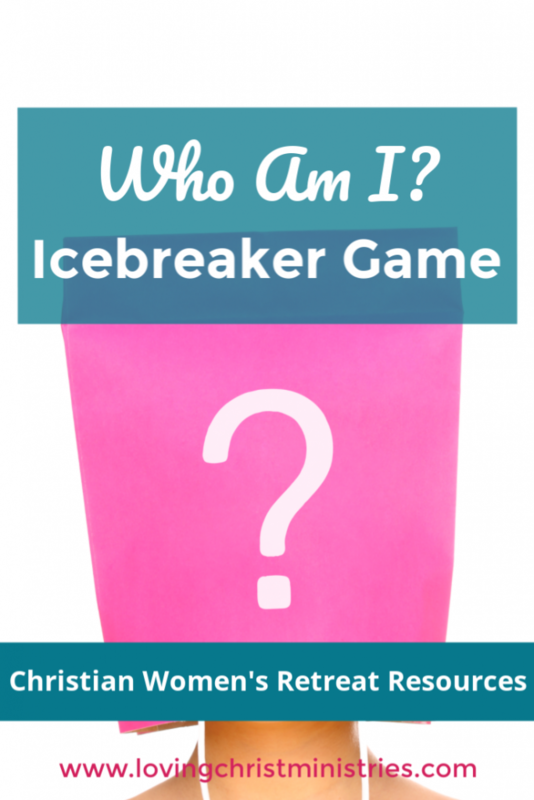 FUN ICEBREAKER GAME FOR CHRISTIAN WOMEN’S RETREATS – WHO AM I? When a group of ladies get together for the first time and don’t know each other very well, it’s important to have light-hearted activities planned to help them form a fun connection from the start. Our Balloon Scriptures icebreaker post gets so much traffic; it’s definitely a popular way to begin retreats. 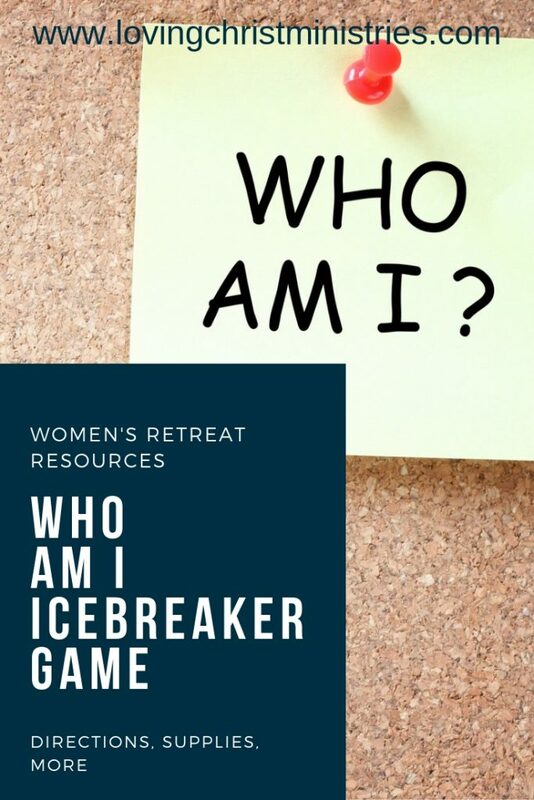 The Who Am I icebreaker for Christian women’s retreats will be just as much fun! In Who Am I, players take turns guessing characteristics of famous or infamous figures. 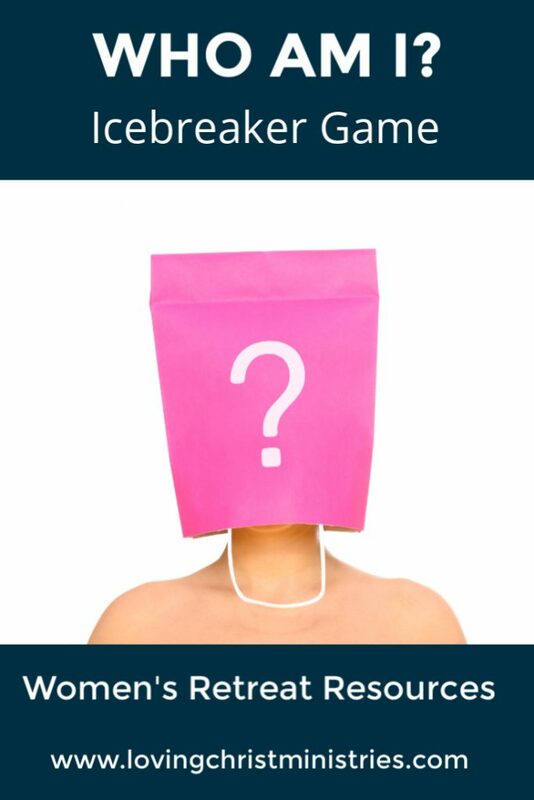 The icebreaker game requires just a few easy to find materials and can be played with any size group although it’s most fun with between 10-12 players. This activity takes approximately 10 minutes. Put a name tag on each player’s back. Set a timer for 5-10 minutes depending on the size of your group. Explain the rules: Find another player and ask Yes or No questions in order to figure out who they are (sticker on the back). Rotate among players trying to get the most information possible. When the answer is guessed correctly, that player steps aside. When the timer goes off, everyone has a chance to say who they think they are. It can be so funny to hear the guesses! Option: Offer a small prize for those who get it right such as a piece of gum or a bookmark or something similar. You could also give an extra raffle ticket to each player/winner to put in for door prizes. I made the mistake once of not using an icebreaker at the beginning of a retreat. It was just a one day retreat, and I didn’t think it would matter. Was I surprised at the difference! I never felt the connection among the ladies that we always felt before. Oh, everyone was kind to each other and very polite. It wasn’t that they were mean. 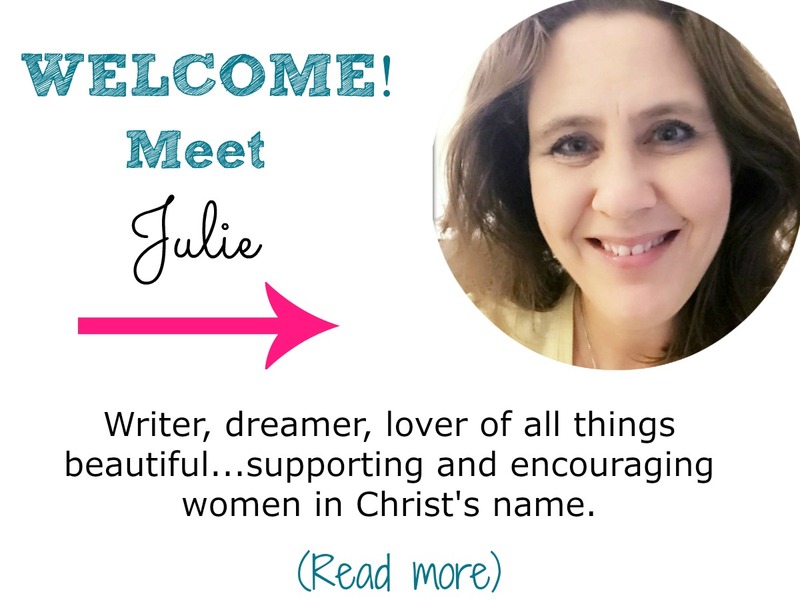 It’s simply that they didn’t have the depth of connection that we typically get when we spend time together celebrating Jesus. It’s possible the lack of connection came from the mix of women, but I’m not sure. From then on, I always plan at least one icebreaker. Want to remember this? 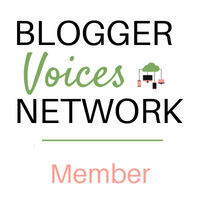 Post this Who Am I article to your favorite Pinterest board!